Grandma Dora, my sister Becky, my mom and I in my grandparents’ garden. My grandparents were dairy farmers when my dad was young. 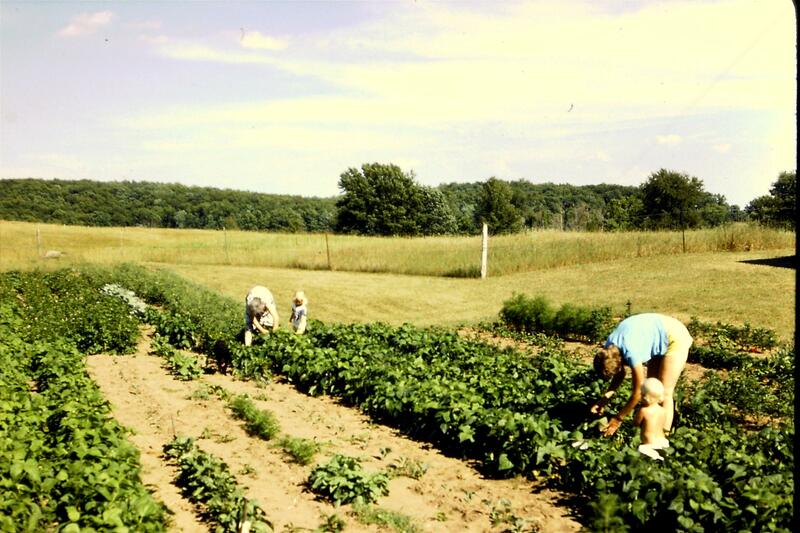 They had a 155 acre farm and they always had a big garden out behind the house. 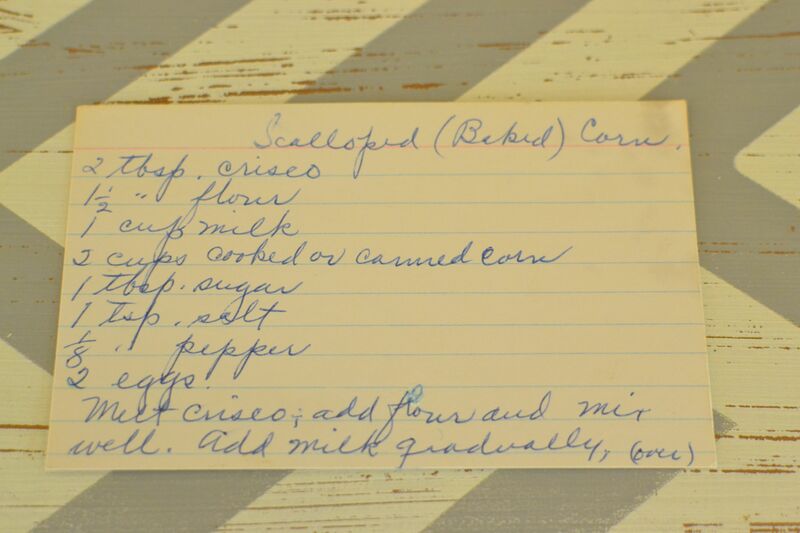 So, when I found this recipe for scalloped corn, I imagined my Grandma Dora using corn from her garden to make this recipe. I had corn on the cob, so I decided to try it. The recipe was very simple to make. 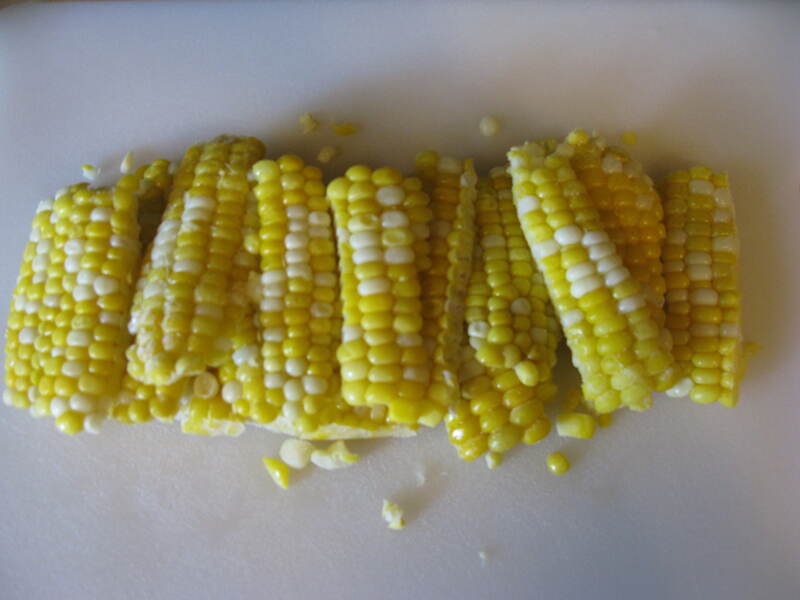 You can use canned or even frozen corn just as easily as fresh. Melt Crisco; add flour and mix well. Add milk gradually and bring to the boiling point, stirring constantly. Add corn, sugar, salt and pepper and heat thoroughly. Remove from fire, add well beaten eggs and pour into a greased baking dish. 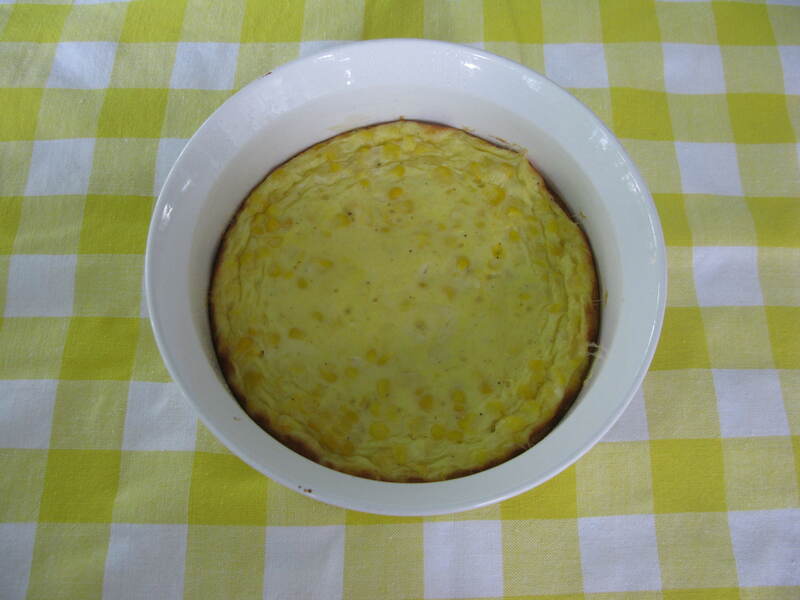 Bake in a moderate oven (350 degrees) for 25 minutes or until corn is firm. I can imagine that maybe my grandma took this dish to a church potluck or maybe served it to the farmhands at harvest time. It would also be great for family reunions and other summer gatherings. 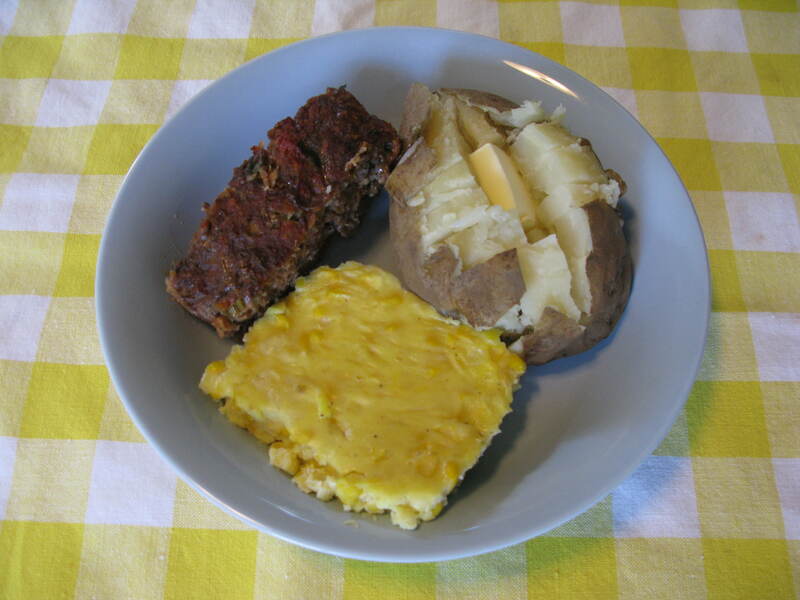 I made meatloaf and baked potatoes and served it alongside. I have my own garden this summer, but it isn’t nearly as impressive as my grandparents’ looked. It’s still fun though, to see what I can grow. I think my grandparents would be happy to know that I’m enjoying gardening like they did. 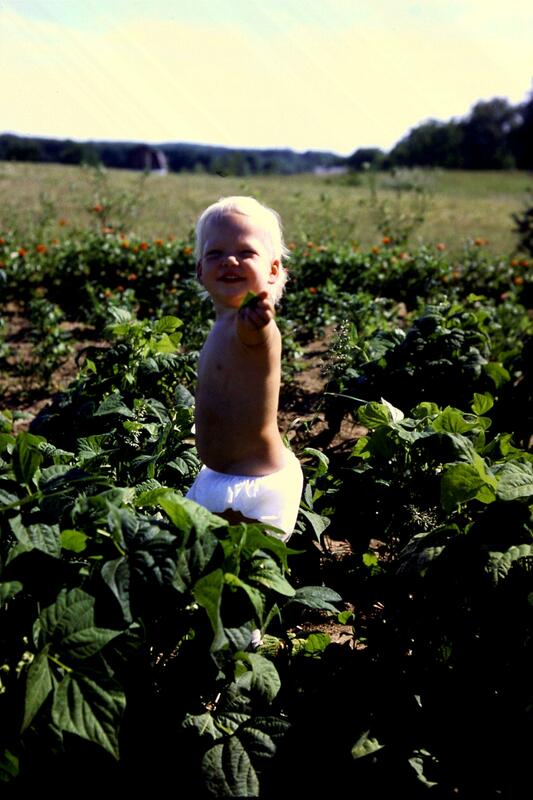 Me in my grandparents’ garden. 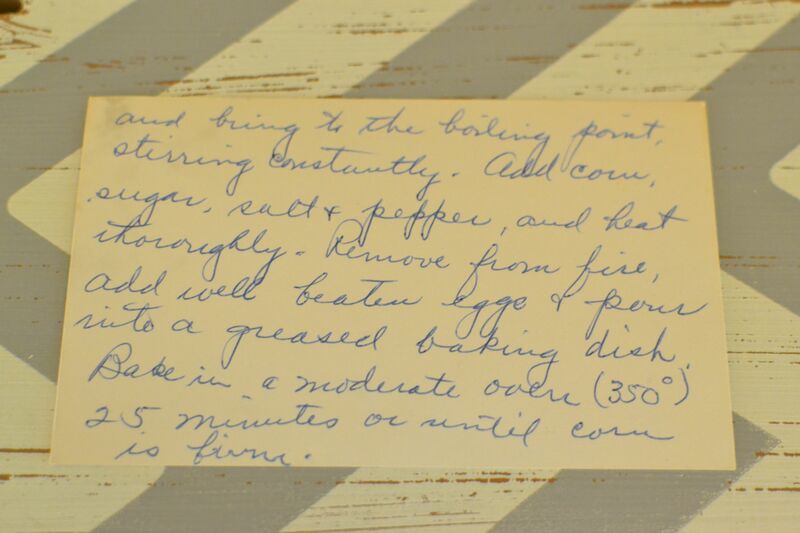 This entry was posted in Breads, Side Dishes and tagged baking, corn casserole, farm cooking, garden, garden cooking, scalloped corn, scratch cooking, zucchini, zucchini bread by GrandmothersRecipeBox. Bookmark the permalink.